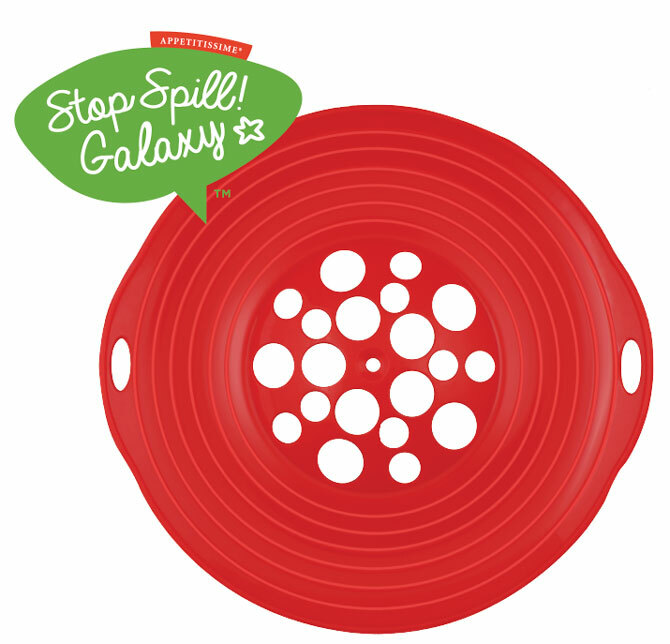 Appetitissime® Stop Spill!™ is a silicone lid with a unique design to prevent spills and splashes from boiling pots. 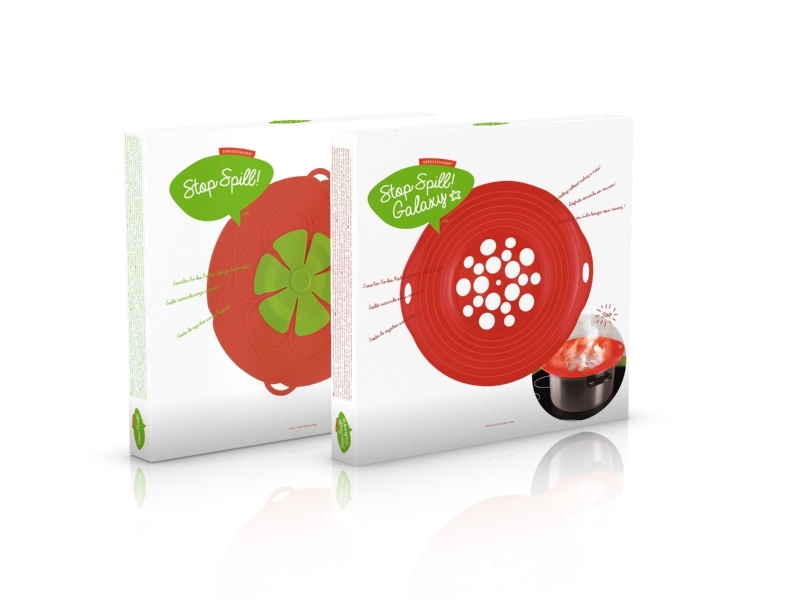 Simply place it on any pot you’re cooking in, and the pressure release system will prevent drops and bubbles from popping out and messing your kitchen. 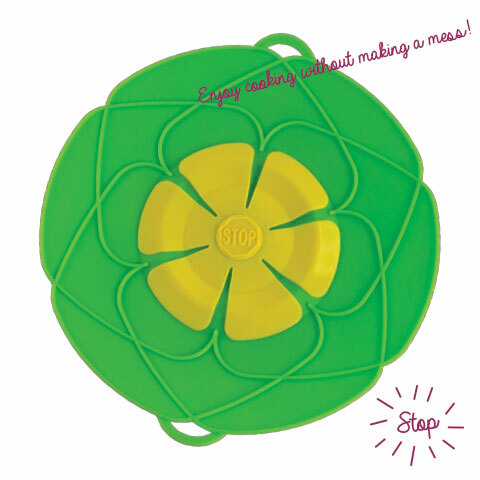 It can be used in the microwave and dishwasher.